Apparently, there is a second side effect to dermaplaning -- hair removal! As we age we tend to get more hair on our faces (dang hormones!) that our makeup and other products can get caught in. 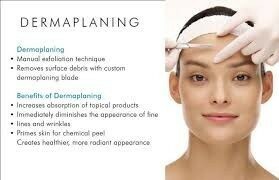 Dermaplaning is basically shaving -- on steroids, but make safer than hair removal creams or plucking. Because this procedure removes up to 3 weeks of dead skin cells that have accumulated (excuse us while we make an appointment immediately!) the results last up to 4 weeks. Now, if you have a good daily maintenance you can prolong the results for up to 6 months! 6. 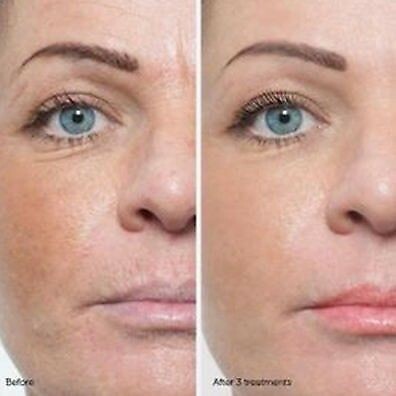 Dermaplaning should never be tried at home. While it may appear to be a simple shave, it is much more complicated than tha! Surgical scalpels are much sharper that the average razor and the technique requires a delicate touch making it nearly impossible to do at home. Save yourself a few cuts on the face and leave it to the professionals.